PRWeek is inviting the industry to vote for the PR Professional of the Year Award winner for the first time. The online poll is open to all industry participants and recognises those who have delivered an outstanding professional performance in comms over the past year. 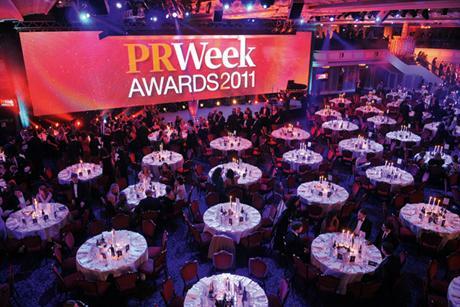 The poll will close on 19 September and the winner will be crowned at the 2012 PRWeek Awards ceremony on 23 October at Grosvenor House on London's Park Lane. Last year's PR Professional of the Year was Paddy Harverson, comms secretary at Clarence House, for his work around the marriage of Prince William and Kate Middleton. A formidable communicator with an iron grip on the comms coming out of LOCOG around the Olympics, Brock-Doyle’s hands-on style was more than vindicated after a summer of unprecedented success. Having taken on the PR for the bid back in 2003 following a role as director covering sports events at Capital Public Relations, she used her expertise to help steer the Olympic ship through a myriad of real and potential crisis points to emerge triumphant at the other side, having delivered an almost universally hailed Games. Right up until his departure from Team Boris in May, Harri was an integral part of building the Boris brand, having worked for the Mayor since 2008 after stints as a senior consultant at Fleishman-Hillard and a BBC political correspondent. Having helped secure Johnson’s re-election as London Mayor this year, Harri has now jumped to perhaps the most challenging comms job in town – director of comms at News International. It is here that he is now leading ongoing media management and providing the board with strategic reputational guidance. Last year’s PR Professional of the Year has had another first-rate year leading comms at Clarence House. Working side by side with the team at Buckingham Palace, Harverson was integral to the smooth running of the Queen’s Diamond Jubilee, which came a year after he masterminded the wedding of Prince William and Kate Middleton. Meanwhile, the former Financial Times journalist has continued to help present the royal couple in a way that has made them much-loved all over the world, including the adroit handling of the fallout from Prince Harry's LA adventure. Long regarded as one of the shrewdest strategic operators in the business, Clark is something of a trail-blazer for the PR industry, having been handed control of the brewing giant’s entire European operations in 2012. Clark’s virtually unprecedented move from comms director to executive control is hugely significant for an industry whose voice in the boardroom continues to grow louder. She joined SABMiller in 2003, having previously headed corporate affairs at Scottish Power and Railtrack. Newly crowned Premier League champions Manchester City’s extraordinary rise on the pitch has been mirrored by a similar off-pitch PR revolution. Kloss’ comms team has led the football world in social media engagement, digital comms and consumer outreach to help make the fans part of the club’s journey rather than mere customers. Kloss is a former police detective who has worked at the club for over a decade. EasyJet has by most measures had a good recession – and no small part of that is due to the efforts of Moore and his team. While other carriers are struggling with margins or antagonising their passengers, easyJet has deftly managed its image as a low-cost carrier that cares about customers. The firm’s share price is up some 60 per cent against a year ago and passenger numbers continue to climb. Moore joined easyJet in 2010 from transport firm FirstGroup and has also led comms at Virgin Atlantic. Hindle joined McDonald's in 2002, when the company’s reputation was in the doldrums as it attempted to file a lawsuit against a group of campaigners who had criticised the brand. This summer has been busier than most for Hindle after leading comms for an Olympic sponsor that attracted its fair share of criticism. But the company’s strategy went far beyond building its biggest outlet in the Olympic Park. McDonald’s helped train ‘Games Makers’ volunteers, while the fast-food chain emerged from attacks from critics with its image intact and UK sales up, despite a difficult summer globally.